This post is a continuation of my journal entries from our six-week expedition to China this summer. If you didn’t read the introduction to this series, you can read it here. You can also read this post here, on the Where There Be Dragons Yak Yak board. Chinese people are known for having good food. In villages especially, people tend to all gather in one family’s house to celebrate a birth, marriage or death. 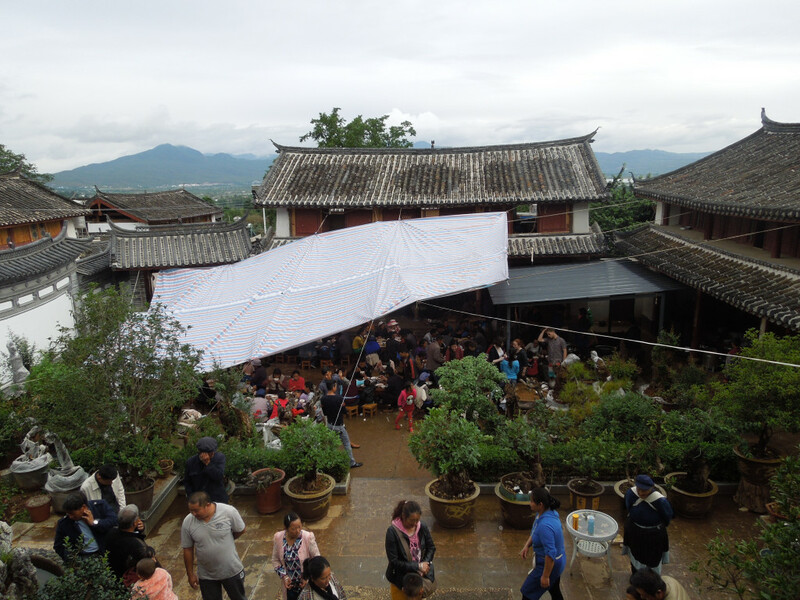 When I first arrived at our village homestay in Nan Yao Cun (not too far from Lashihai), I was told that another student’s homestay parents would lead me to my house, because my parents were busy at the moment. When I walked through the door of my new home, none of the mental preparation I made mattered anymore. Imagine having over 640 people in your backyard; that’s exactly what I experienced. 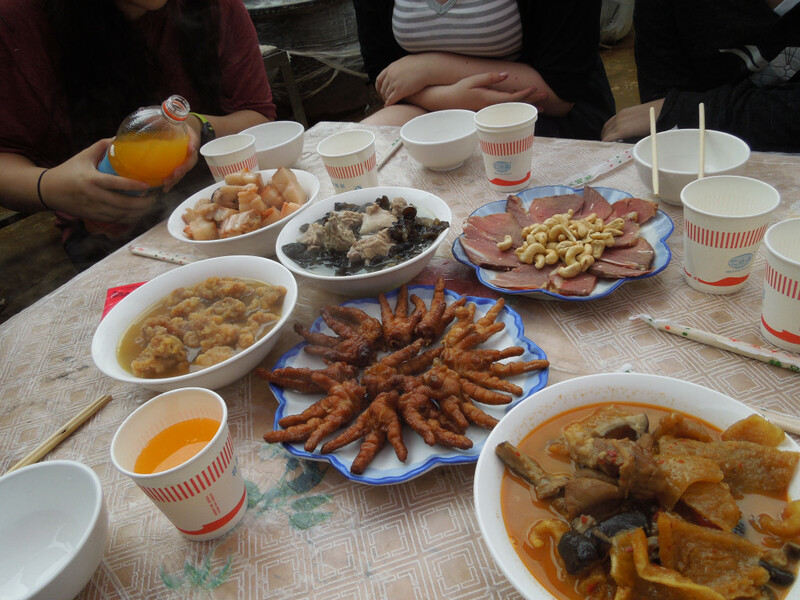 It was my homestay parent’s baby’s one-month birthday, so the family invited over half the village to feast at my house. There were at least four different seatings for dinner, with buckets full of rice, fish, chicken feet, and Yunnan spicy peppers. 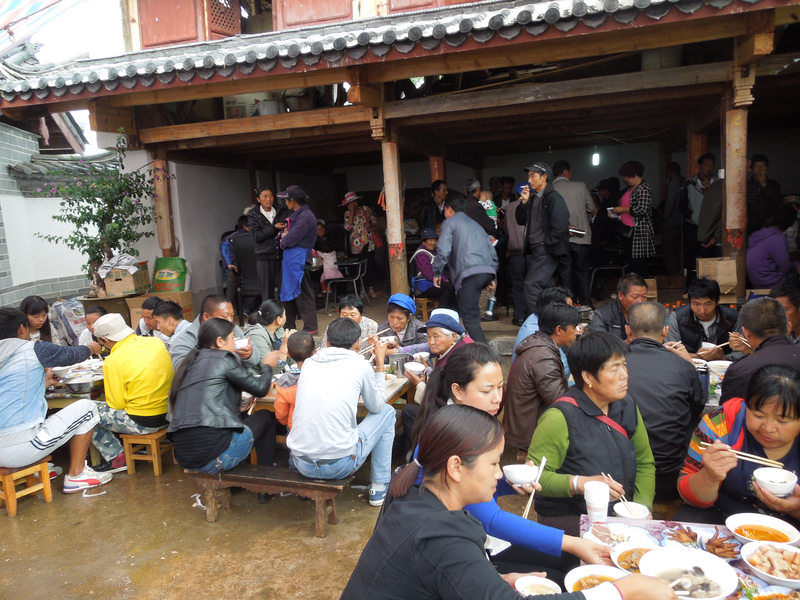 Every time a group finished eating, the army of Naxi women who acted as cooks simply poured the food back into the pot and served it again. I don’t think the pictures below/above do it enough justice. It took me a solid 30 minutes to find my host family. Although the situation made me extremely uncomfortable at first (I had to leave the party for a few hours to relax), our instructors told us later that it was Chinese culture at its heart. It’s important to have an experience like this once in a while — it’s all part of the life of Chinese village people, in whose lives we will spend the next two weeks immersed. 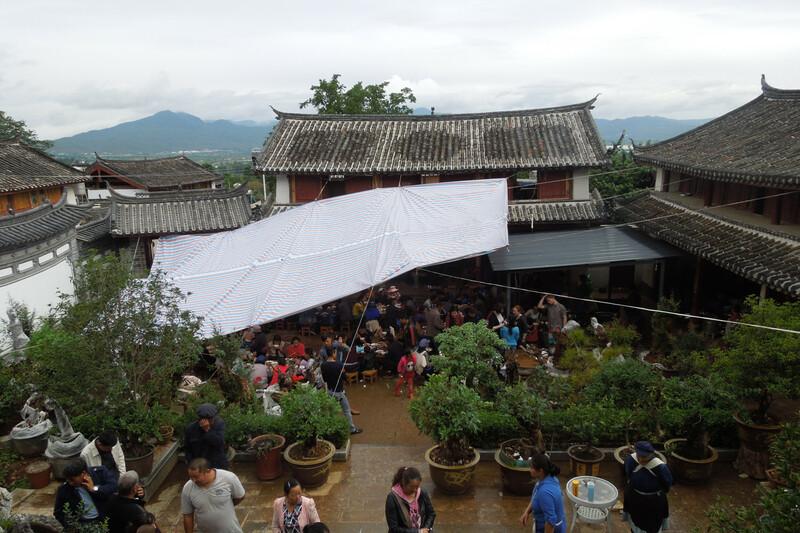 My homestay family’s courtyard during the party. This was taken from my room on the balcony. The “guests” (basically half the village) sit down and enjoy the feast.